Compacted clay liner (CCL) plays an important role in preventing the contamination of surface and sub-surface environment from waste disposal sites. These CCLs are prone to get crack due to the heat generated in landfill and it remains after interaction with leachate. 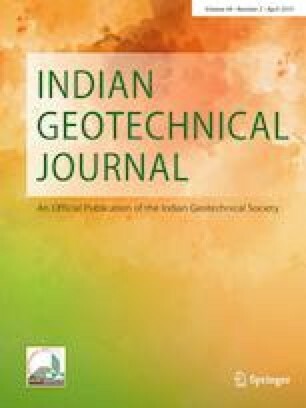 Hence, an attempt has been made in the present study to carry out the necessary studies on locally available clayey soils for their suitability as a CCL based on crack intensity factor (CIF) and hydraulic conductivity under the influence of leachate. The results have shown that CIF of soil increases with increasing in number of wetting and drying cycles. The permeability ratio (Kr) is less for CH soil when compared to CL soil when permeated with water. In addition, it was observed that Kr is more for CH soil when compared to CL soil after permeation with leachate.